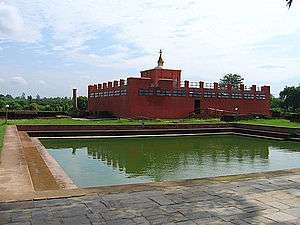 Maya Devi temple at Lumbini, Nepal was the birthplace of Buddha. 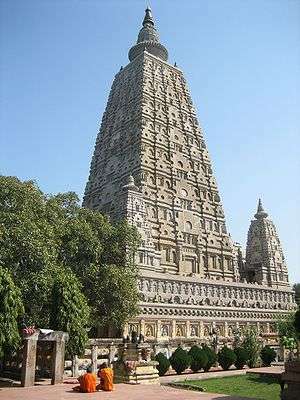 Mahabodhi Temple Complex at Bodh Gaya, India was the place of Buddha's Enlightenment. 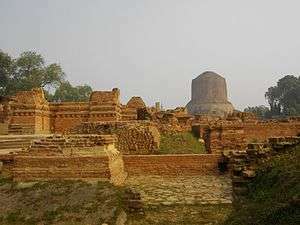 Ancient Buddhist monasteries near Dhamekh Stupa Monument Site at Sarnath, India where Buddha delivered his first teaching. 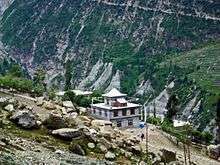 Kurjey Lhakhang - one of Bhutan's most sacred temples - image of Guru Rinopche enshrined in rock. 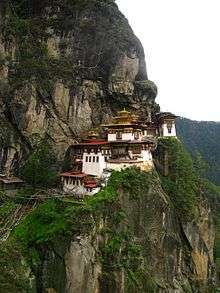 Paro Taktsang (Tiger's Nest) - perched on a 1,200 meter cliff, this is one of Bhutan's most spectacular monasteries. Punakha Dzong - constructed by Zhabdrung Ngawang Namgyal in 1637-38 it is the head monastery of the Southern Drukpa Kagyu school. The Tianning Pagoda in Beijing, built around 1120. 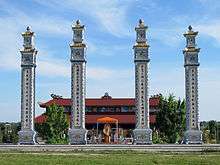 The Putuo Zongcheng Temple in Hebei, represents a fusion of Chinese and Tibetan architectural style. Chi Lin Nunnery in Kowloon, Hong Kong. 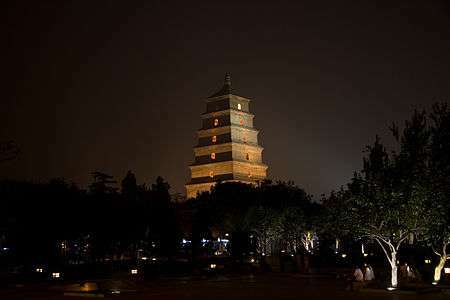 Tianning Temple (Changzhou) in Jiangsu - the tallest pagoda and the tallest wooden structure in the world. Giant Wild Goose Pagoda, Xi'an, Shaanxi province. Golden Temple (Chinese Buddhist) at the summit of Emei Shan, in Sichuan. Emei Shan is one of the Four Sacred Mountains of Chinese Buddhism. 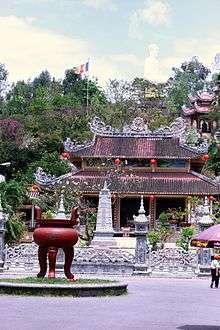 The Three Pagodas of Chong Sheng Temple, Dali City, Yunnan. 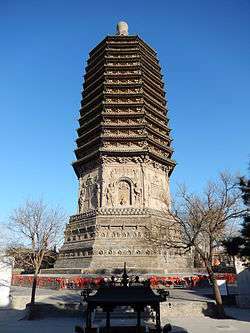 Tianning Temple (天宁宝塔), Changzhou, the tallest pagoda in the world. Height: 153.8 metres (505 ft). The Jokhang Temple in Lhasa, Tibet. The Pagode de Vincennes, originally the Cameroon Pavilion of the 1931 Paris Colonial Exposition. 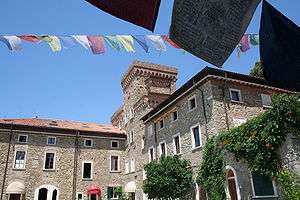 Istituto Lama Tzong Khapa in Tuscany. 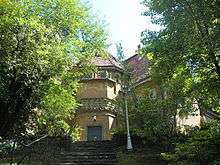 Das Buddhistische Haus in Berlin - the oldest Buddhist temple in Europe. 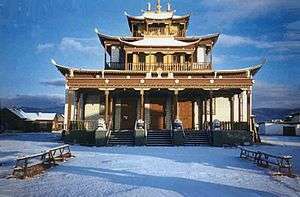 Ivolginsky Datsan in Buryatia, Russia. 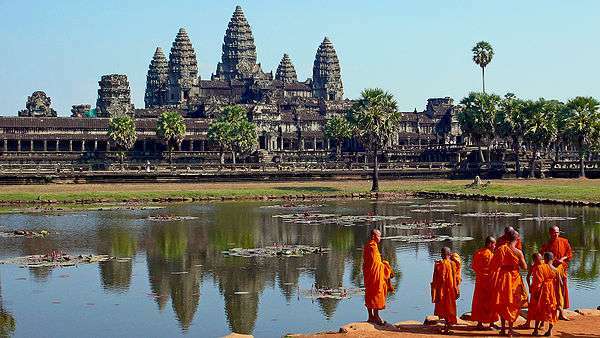 Buddha idols have been found in several places, and some temples, some are still in worship and are considered now as Hindu gods. 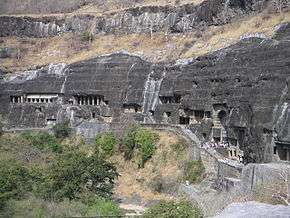 Monasteries used to exist in many places, and it can be seen from the names of the modern villages. 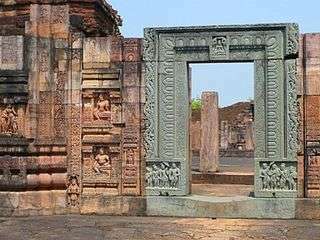 For example, Viharas have been found in modern Divachali or ancient Dipakavishaya, Lamgaon or ancient Lamagrama and many other places. 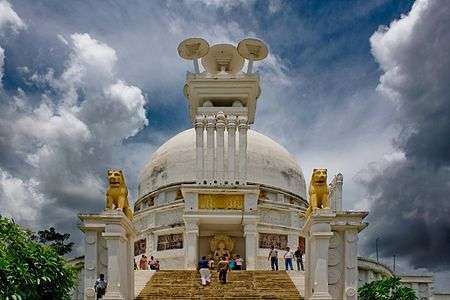 Parinirvana Stupa : Death (Nirvana) place of Gautam Buddha. 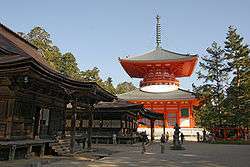 Kinkaku-ji (Rinzai-Shōkoku-ji sect), the Temple of the Golden Pavilion, located in Kyoto. It was built in Muromachi period. 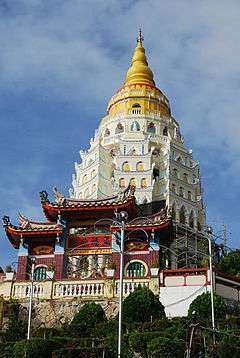 Puu Jih Shih Temple, Sandakan, Sabah. Shwedagon Pagoda in Yangon - the most revered pagoda in Myanmar. 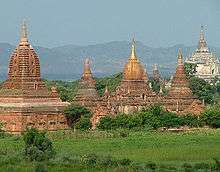 Ancient pagodas are built in the Mon style, Bagan. 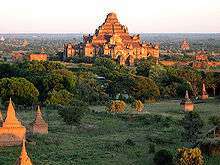 Dhammayangyi Temple - a pyramid-shaped Buddhist temple. Modern architecture of the Buddha Tooth Relic Temple and Museum in Singapore. 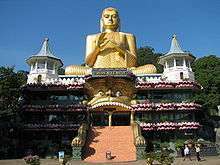 Temple of the Tooth in Kandy. 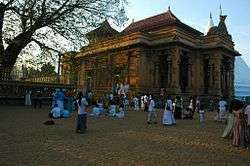 Kelaniya Raja Maha Vihara in Kelaniya. 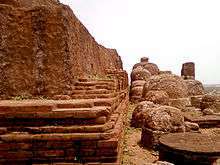 Mahamevnawa Buddhist Monastery in Polgahawela. Fo Guang Shan Buddha Memorial Center, Taiwan. Chung Tai Shan (中台山), Nantou, the tallest Buddhist temple in the world. Height: 136 metres (446 ft). 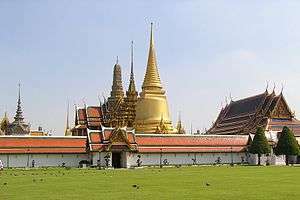 Wat Phra Kaew in Bangkok. 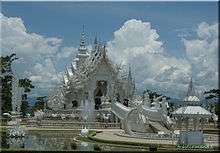 Wat Rong Khun in Chiang Rai. 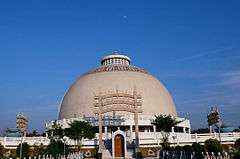 Wat Phra Dhammakaya in Pathum Thani Province. 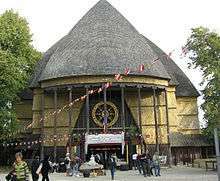 Wat Traimit contains Golden Buddha - the world's largest solid gold statue. 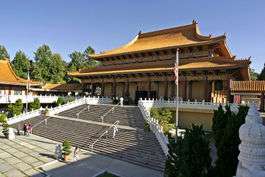 Hsi Lai Temple (Chinese) in Hacienda Heights, California - the largest Buddhist temple in the United States. Byodo-In Temple (Japanese) O'ahu, Hawaii. 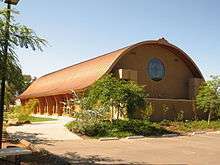 Deer Park Monastery meditation hall (Vietnamese) in Escondido, California. 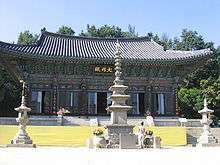 So Shim Sa Zen Center (Korean) in Plainfield, New Jersey. 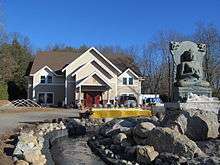 Wat Boston Buddha Vararam (Thai) in Bedford, Massachusetts. Shambhala Center (Tibetan) in Boulder, Colorado. 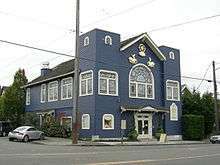 Kadampa Buddhist Temple in Seattle, Washington. Wat Buddhavas of Houston (Thai) in Houston, Texas. 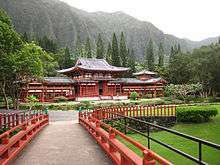 Daifukuji Soto Zen Mission (Japanese) in Honalo, Hawaii - an U.S. National Register of Historic Places. 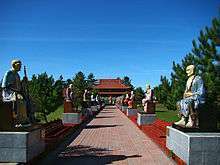 Linh Quang Buddhist Center (Vietnamese) in Lincoln, Nebraska. ↑ China Daily. (April 30, 2007). 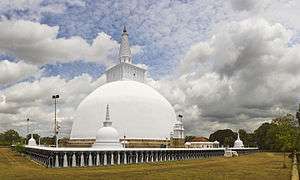 World's Tallest Pagoda Inaugurated. Chinadaily.com.cn. Retrieved on 2008-05-22. ↑ "Aaloka Buddhist Center (Singapore)". Retrieved 11 September 2014. 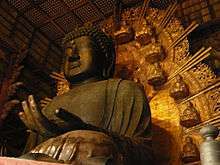 ↑ "Bodhiraja Buddhist Society". Retrieved 11 September 2014. ↑ "Dharma Drum Singapore". Retrieved 11 September 2014. ↑ "Convicted S'pore Buddhist monk Shi Ming Yi walks free after 6mths in jail". Retrieved 22 December 2014. ↑ "Nyingma Kathok Buddhist Centre - Singapore". Retrieved 11 September 2014. 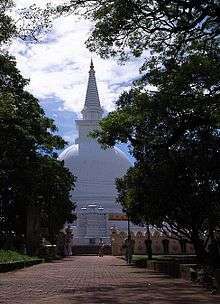 ↑ "Sri Lankaramaya Buddhist Temple". Retrieved 2 Dec 2013. ↑ "Thekchen Choling (Singapore)". Retrieved 2 Dec 2013. 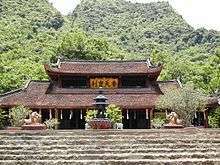 ↑ "Vipassana Meditation Centre (Singapore)". Retrieved 2 Dec 2013. 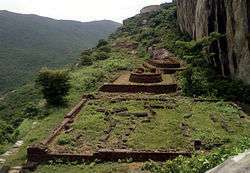 ↑ "Sri Dalada Maligawa". Retrieved 2016-01-10. ↑ "SkyscraperPage - Chung-Tai Buddhist Temple". 2008-11-08. ↑ "Buddhist Community of Lincoln". Lincoln Journal Star. Retrieved October 12, 2015. ↑ "Lincoln Zen Center". lotustemple.us. Retrieved October 12, 2015. 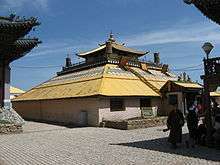 ↑ "Grand opening ceremony set for new Buddhist Temple". Lincoln Journal Star. Retrieved October 11, 2015. 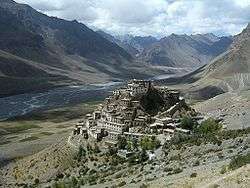 ↑ "Chaiya Meditation Monastery". Retrieved July 16, 2016. 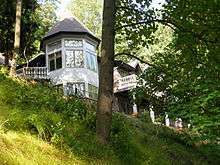 ↑ "Dharmakaya Buddhist Center". Retrieved July 16, 2016. ↑ "Nevada Buddhist Temple". Retrieved July 16, 2016. ↑ "Reno Buddhist Center". Retrieved July 16, 2016. ↑ "Zen Center of Las Vegas". Retrieved July 16, 2016. 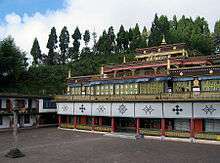 ↑ "Namgyal Monastery Institute of Buddhist Studies". Retrieved July 16, 2016. 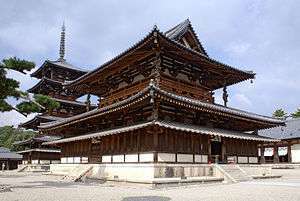 Wikimedia Commons has media related to Buddhist temples.